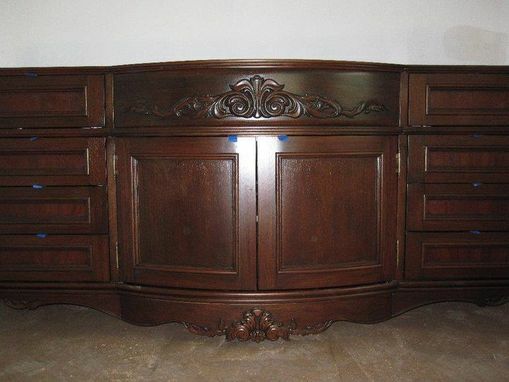 We did all of the carvings on this curved front mahogany vanity. The carvings are not onlays - they were made to the customer's order directly on curved pieces of mahogany. We also make curved moldings on the corners of the piece to match straight moldings elsewhere on the piece.